The first day in La Ceiba was both exciting and overwhelming, and I am very happy I was here with my group for a total of four weeks. Each week offered new experiences in the hospitals that I would not have had anywhere else. 1-How was the local ABV Coordinator and the support provided in-country? Our host family was amazing! Our coordinator, was extremely helpful in providing guidance and answering questions whenever needed. While staying with Rafael, my group also had the chance to travel around the city to different tourist destinations with the help of our guide, Henry. He was a huge support for when our group wanted to explore the country. 2-What was the most surprising thing you experienced? At the program: One of the most surprising things I experienced while working at the hospital was the difference in patient care, it seems that the Maternity Clinic and the Pre-Clinic function as “triaging” areas where a patient’s vital signs are taken and then the patient is sent to a certain doctor. Since these areas were mostly “triaging” areas, there was very little time for sitting down and talking to the patient. Instead, there was a big focus on taking vital signs quickly in order to move on to the next patient. At the accommodation: I was very surprised that there were three bathrooms to share amongst five people. I was definitely not expecting my group to have that much room but it was a nice surprise! And the food that was provided was amazing. My group also was expecting to have to pay for a taxi to get to and from the hospital, but Rafael was nice enough to drive us most days. That was a huge surprise and we are very grateful he was able to do so. ABV: transportation is not included, so a tip per person for the transportation is welcome if provided. About the country: I honestly was surprised about how nice everyone was! Being in a different country can be nerve racking but if you keep a good head on your shoulders and stay safe like you would anywhere else, you will be fine. 3-What was the most difficult to experience? 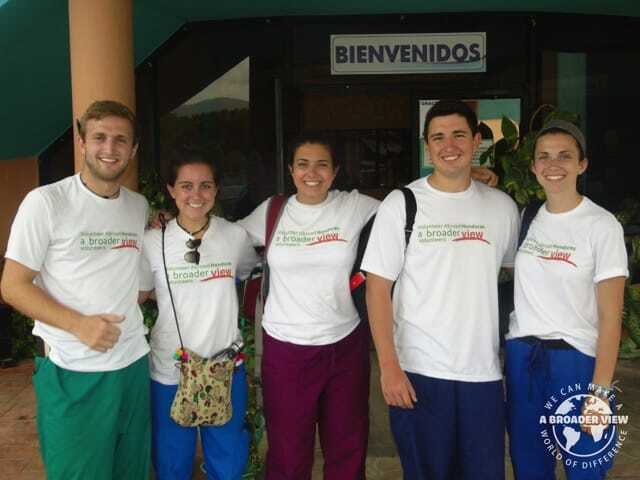 At the program: The first week of volunteering at Regional my group had the opportunity to go house to house with nurses and doctors vaccinating the people of La Ceiba. The very same nurses and doctors had been vaccinating for three weeks prior to our arrival and were finishing up their last week. 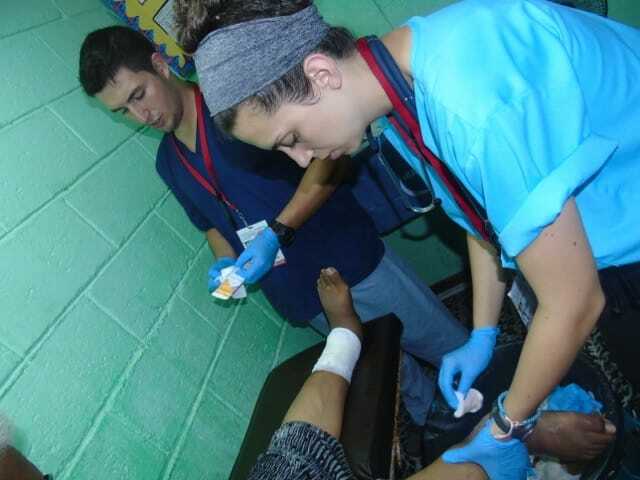 Going door to door to vaccinate the people of La Ceiba has been the best method of prevention for the city. In doing so, I was exposed to the heart of the Honduran culture. Some homes were fairly wealthy with comfortable living spaces, while other homes just a few streets over were falling apart. One of the towns in the mountains was one of the poorest places I have ever been to. Most of the “houses” were built with metal siding or old street signs, and there was no clean water to be found anywhere. Trash was piled outside of the houses and just left to sit and rot. The saddest part about this area was that many of the people refused to be vaccinated. At the accommodation: I personally did not have a difficult experience at the accommodation. I think my group and I transitioned very well and made the most of our four weeks in La Ceiba. The first few days of being in La Ceiba were definitely the most stressful because everything is so new, but we had no issues otherwise. At the country: Seeing the extreme poverty of so many people was very difficult. I was expecting to see it but it still was overwhelming at times. The intensity of the poverty create a serious lack of resources and lack of education on properly taking care of one’s health. 4-Any tips for future volunteers? Clothing: Bring lots of comfy clothes! Tank tops, shorts, etc. Also, bring lots of underwear and socks. There was a laundromat down the street from our host family but it is definitely nice to not have to do laundry every week. Bring a few nice outfits for the weekend and lots of scrubs for working in the hospital. ABV: the host families also have washing machine and for US$8 a bucket you can do laundry in the house. Donations: Sterile gauze (in any and all sizes) is desperately needed. Alcohol pads/ antibiotic gauze for cleaning wounds and for IV use. Quite often a cotton swab or gauze is soaked in water to clean a patient’s skin (such as when vaccinating) when alcohol pads should be used. Acetaminophen and Ibuprofen (tablets), large blood pressure cuffs, lidocaine, and antibiotic ointments. Our group requested a supply list from the hospital and we will be posting it for other volunteers as well. Weather: Prepare to be drenched in sweat for the first 2 weeks! My group volunteered for four weeks and we felt that we were fully adapted by the end of the first or second week. Bring a lot of sunscreen for walking around the city or for the weekends. a- When working in the hospital, be prepared to see a huge difference in patient care and practice (as opposed to the methods used in the United States). With the lack of resources it is difficult for providers to give patients the best and safest treatment possible. That being said, even the local doctors and nurses who are educated would practice non-sterile procedures on patient’s when a sterile environment is necessary. It is absolutely necessary for any medical professional to work within their scope of practice, especially when traveling abroad and working in another country. b- Bring snacks! My group of five brought 37 snack packs (sandwich bags) filled with power bars, slim jims, and twizzlers (thanks Mom!). Bring snacks that will not melt and it will be a huge life saver! 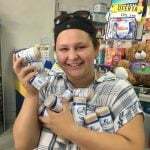 The meals are amazing but snack foods are not the norm in Honduras and you may need a snack once in a while after a long day at the hospital. c- Bring hand wipes, toilet wipes, lots of bug spray, Ibuprofen and Acetaminophen (for yourself! ), Benadryl, Pepto Bismol, and multivitamins! All of these things seem pretty simple but are a life saver when someone is sick with traveler’s diarrhea, a virus, or anything else! d- Be ready to sweat a ton! The first day in La Ceiba was both exciting and overwhelming, and I am very happy I was here with my group for a total of four weeks. Each week offered new experiences in the hospitals that I would not have had anywhere else. 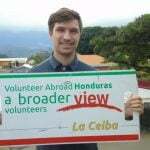 Living in La Ceiba for four weeks allowed us to be fully immersed in the culture and to meet many amazing people. I will never forget the people I met in La Ceiba and the experiences I gained. Everything was amazing! I felt very safe at our host family’s home and I felt comfortable walking through the city (in a group). As long as you keep a good head on your shoulders everything will be fine! 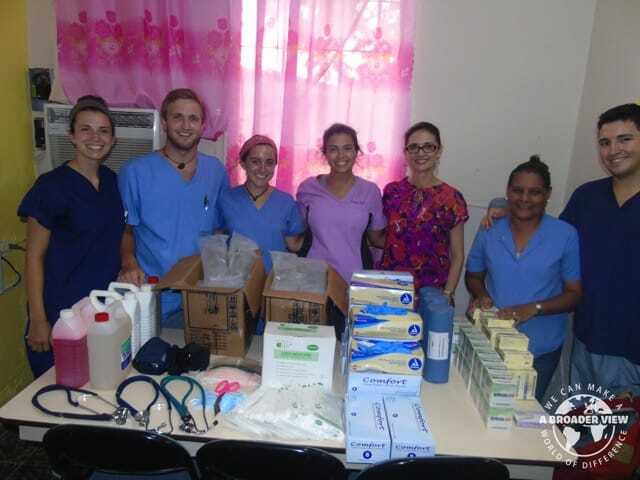 Program: Going house to house to vaccinate the citizens of La Ceiba and observing surgeries at the social security hospital! 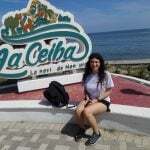 Country: I loved traveling to the different islands on the weekends (Cayos Cuchinos and Utila). 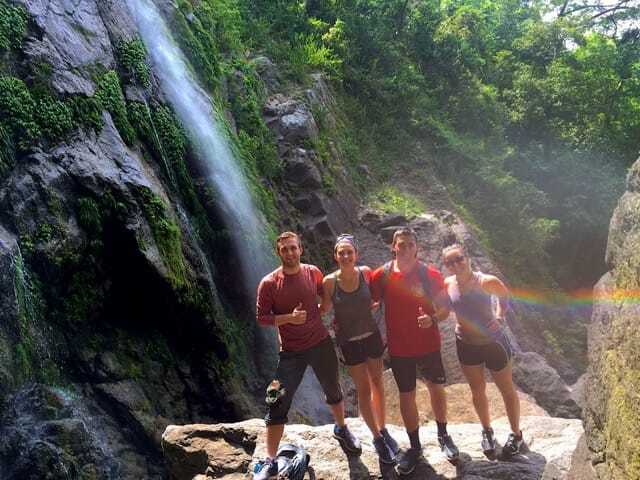 And I loved hiking part of Pico Bonito and seeing the beautiful waterfalls. 8-ABV USA support prior to traveling? The support was amazing! The resources and information given prior to traveling is very accurate and straight forward. 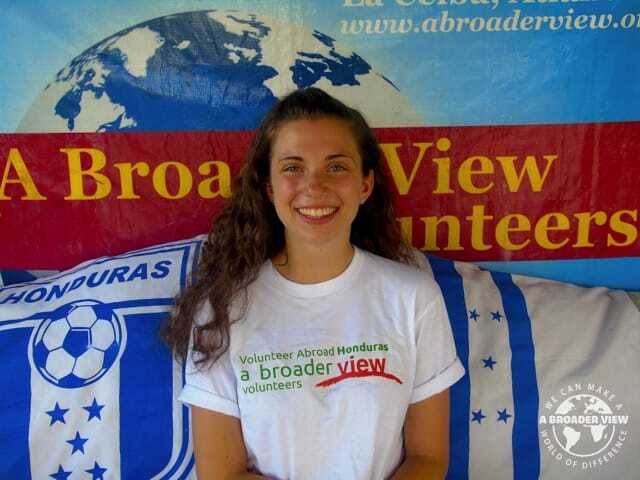 Honduras was the first country I traveled to internationally and I have had no issues! If you prepare using the resources ABV gives you, you will be all set for the trip! 9-Are you willing to speak to other potential ABV volunteers? 10-I find out about A Broader View from one of the members of my group who spear headed the trip!